A small pack size, medium sliced wholemeal bread, perfectly shaped for easy sandwiches and toast and naturally rich in wholegrain goodness. High in fibre. Source of vitamin B1. Suitable for vegetarians & vegans. Kosher - KLBD. 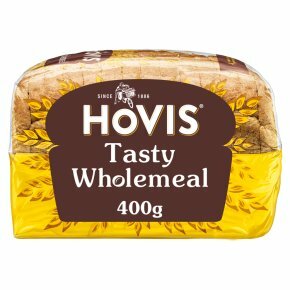 Your favourite rich and tasty Wholemeal loaf, giving you a taste of Hovis heritage in every slice.